We’re bringing two great wines to Fort Collins all the way from Arrowhead Wine Cellars in Northeast, PA. In 1980, Nick and Kathy Mobilia, third generation owners of Mobilia Fruit Farms, began pressing grapes into juice for wineries in North East, Pennsylvania. 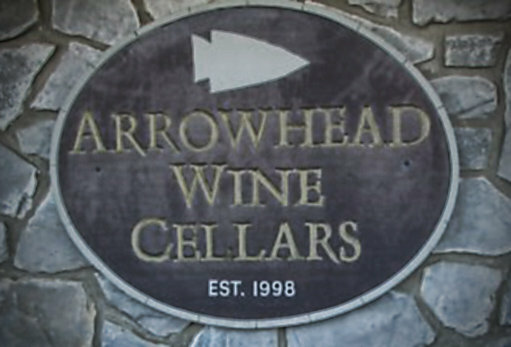 Thankfully for us, in 1998 that Arrowhead Wine Cellars was established after Nick saw the need to make a product that he had full control over. They had the knowledge and experience of processing grapes, so they decided to make their own wine to delight wine drinkers of all kinds. Arrowhead Wine Cellars has been producing internationally recognized award-winning wines, with 32 varieties to choose from. Arrowhead uses the highest quality European, Native and hybrid grapes, most of which are grown on their 250 acre farm. We strongly recommend you visit their winery if you’re ever in Pennsylvania, but until then, you can taste and blend their Blaufrankisch and Traminette at Blendings at The Preserve! If you like what you taste, shop all of their wines at http://www.arrowheadwine.com/.